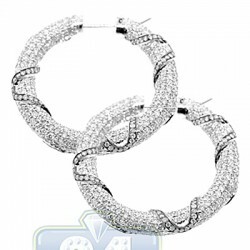 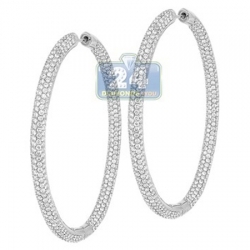 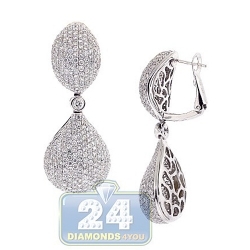 Womens Fancy Diamond Flower Earrings 14K White Gold 9.41 ct 2"
Unique and extraordinary in design, these women's drop earrings are masterly handcrafted in lustrous 14k white gold with high-polished shiny finish. 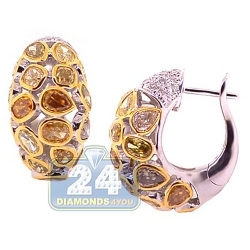 They feature a beautiful flower design covered in shimmering diamonds showcasing plenty of natural fancy yellow, cognac and icy white diamonds, all totaling 9.41 carats. 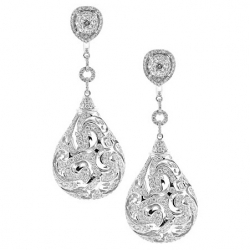 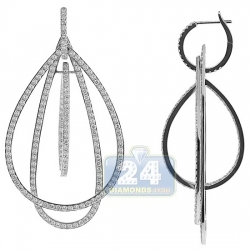 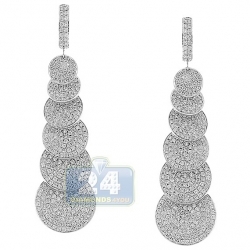 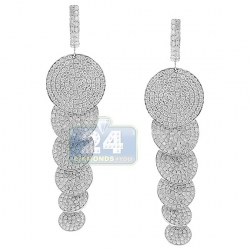 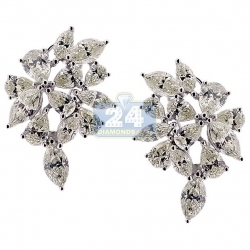 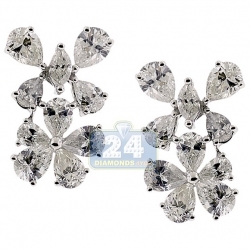 Our diamond flower earrings measure 50 mm in hanging length and 31 mm in width. 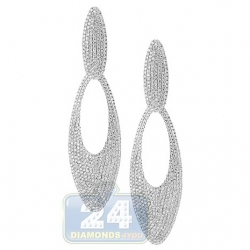 A wonderful gift for someone special!